TCAS has been providing heavy metal consultative and toxicological assessment services for more than 28 years. Although some heavy metals are necessary ingredients in a healthy body, heavy metal contamination can cause a wide range of adverse health effects. Unlike organic pollutants, heavy metal compounds degrade slowly or not at all after entering the environment. Additionally, heavy metals can bioaccumulate in the body. These are significant factors with respect to toxicological assessments and remediation. 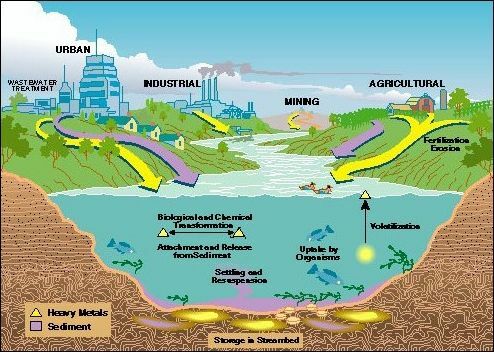 The illustration at right (adapted from a 1995 U.S. Geological Survey report)1 illustrates some of the common pathways by which heavy metals contaminate water. As heavy metals flow into water, some will undergo biological and chemical reactions. Thus, heavy metal exposure is most often a composite process involving water consumption, ingestion of fish and wildlife, contact with sediment, ingestion of dust and/or inhalation of volatile vapors (such as mercury vapors). The expert toxicologist will establish the various exposure pathways and assess exposure based on a determination of cumulative dosage by each pathway for each heavy metal and/or heavy metal valence or compound. Each elemental heavy metal presents a unique set of toxicological characteristics with respect to exposure mediums (air, soil and water). Toxicological assessment factors vary widely by substance and can be greatly affected by circumstances. For example, some heavy metals can exist as both organic and inorganic compounds. The chemical differences of binding to carbon, hydrogen and other substances can significantly alter absorption characteristics, including toxicity and other factors. Similarly, some metals can move up the food chain through an uptake process called biomagnification in which heavy metal accumulations increase at an accelerating rate. When microscopic aquatic organisms consume contaminated organic material, they may be eaten by small fish. These in turn are eaten by larger fish, then by birds, animals and ultimately by humans. At each stage, the bioaccumulation rate increases in proportion to the amount and frequency of ingestion. Thus, both chronic and acute exposure to certain heavy metals can result in toxicologically-significant cumulative doses. These doses can be determined and applied scientifically to a human health risk assessment by following the generally-accepted, peer-reviewed toxicological methods for assessing each exposure pathway. The following paragraphs outline some of the heavy metals for which TCAS has performed toxicological assessments, produced written reports and/or provided expert testimony subsequent to being retained by defendants, plaintiffs, prosecutors, state attorney generals and/or public defenders' offices. Please contact our office for information concerning any heavy metals not listed on this page. Click on any heavy metal to view toxicological characteristics. Show all results for "Heavy Metals"
Show all results for "Antimony"
Antimony (element 51) is found primarily in natural ore deposits. It is used in batteries, pigments, ceramics and glass. The most widely used antimony compound is antimony trioxide which is used as a flame retardant. Antimony has low toxicity compared to some other heavy metals and direct exposures are rare. The primary historical source of contamination is in drinking water. The major sources of antimony in drinking water are discharge from petroleum refineries, fire retardants, ceramics, electronics and solder waste. Long-term ingestion of antimony-contaminated water (in excess of the U.S. EPA 6 PPB maximum contaminant level goal) may enhance the risk of a drop in blood glucose levels and an increase in blood cholesterol.2 There is limited evidence of antimony carcinogenicity in humans and insufficient evidence of carcinogenicity in experimental animals. 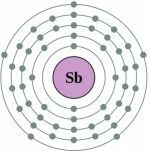 The International Agency for Research on Cancer (IARC) classifies antimony trioxide as a "Class 2B" carcinogen (possibly carcinogenic to humans).3 Antimony is sometimes used to treat parasite infections. Sensitive or overdosed patients have experienced some adverse health effects including diarrhea, joint and/or muscle pain, vomiting, anemia and cardiovascular issues (including altered electrocardiograms).4 Please contact our office for additional information. Arsenic (element 33) has been found in at least 1,149 of the 1,684 "National Priority List" contamination sites identified by U.S. EPA.5 Arsenic typically presents as two basic compound types. Organic arsenic (combined with carbon and hydrogen) was historically used as a pesticide in orchards and cotton fields or as an additive in certain animal feeds (such as "Roxarsone," which has been used extensively for swine and poultry) to increase feed efficiency and stimulate rapid growth. The U.S. Food and Drug Administration has recently banned three arsenic compounds used in swine and poultry feeds.6 Inorganic arsenic (combined with chromium, copper and oxygen) has been used primarily to preserve wood in the form of copper chromated arsenate (CCA) which is used to make pressure-treated lumber in industrial applications (CCA is now banned for U.S. residential purchase). Although different arsenic compounds have different potencies and variable adverse health effects, both organic and inorganic arsenic compounds have been formally classified by the International Agency for Research on Cancer (IARC) as "Group 1 Human Carcinogens. "7 At high levels, inorganic arsenic can be fatal. Long-term exposure to lower levels can cause disease, discoloration of the skin and small corns or warts. Toxicological factors required to assess arsenic exposure in humans include ingestion characteristics, exposure pathways, timeframe(s), bioavailability and organic structure. TCAS has extensive experience in toxicological assessments of arsenic exposures and remediation issues in residential, environmental, agricultural and industrial cases. Please contact our office for additional information. 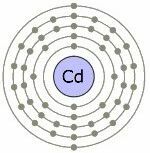 Show all results for "Cadmium"
Cadmium can cause damage to the kidneys, lungs and bones. The documented toxicological properties of cadmium are similar for the several different cadmium salts and oxides that have been investigated. However, differences in absorption and distribution characteristics can lead to different adverse health effect levels.9 TCAS has produced toxicological assessments of cadmium on behalf of both plaintiffs and defendants and was recently retained to produce a comprehensive human health risk assessment relating to cadmium in cacao powder used in food products and candy. Please contact our office for additional information. Show all results for "Chromium"
There are numerous adverse toxicological endpoints associated with chromium (VI) exposure including respiratory, gastrointestinal, immunological, hematological, reproductive and developmental effects. High doses of chromium (VI) compounds can also result in severe cardiovascular, hematological, hepatic, renal and neurological damage.10 Chromium (VI) has been the subject of some well-publicized exposure events in the United States, such as the case of the town of Hinkley, CA whose groundwater was contaminated with hexavalent chromium used as a pumping system additive.11 TCAS has performed numerous toxicological risk assessments associated with chromium on behalf of both plaintiffs and defendants and provided toxicological consultative and assessment services for more than 28 years. Please contact our office for additional information. 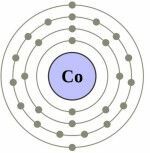 Show all results for "Cobalt"
Adverse health effects for short-term inhalation exposure to cobalt dust include decrease in ventilatory function, congestion, pulmonary edema and lung hemorrhage. Chronic (long-term) effects of exposure by inhalation include respiratory irritation, wheezing, asthma, pneumonia, fibrosis, cardiac effects, liver and kidney congestion and immunological effects.13 Although cobalt is not classified by U.S. EPA as carcinogenic, the National Toxicology Program conducted a carcinogenicity study in rats and mice. Exposure to cobalt sulfate aerosols for 2 years (concentrations ranging from 0.11 to 1.14 mg/m3)13 resulted in a spectrum of inflammatory, fibrotic and proliferative lesions in the respiratory tract of male and female rats and mice without definitive evidence of carcinogenicity.14 TCAS has provided toxicological guidance and cobalt risk and causation assessments for clients for many years. Please contact our office for additional information. Show all results for "Copper"
Inhalation of high levels of copper can cause irritation of the nose, throat and respiratory tract. Coughing, sneezing, runny nose (rhinitis), pulmonary fibrosis and increased vascularity of the nasal mucosa have been reported in workers exposed to high levels of copper dust. 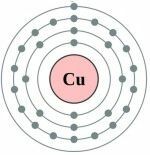 There is some evidence from animal studies to suggest that exposure to airborne copper or high levels of copper in drinking water can damage the immune system.16 Very high doses of copper can cause damage to liver and kidneys while a sufficiently high dosage can be fatal. Please contact our office for additional information. Show all results for "Lead"
Lead (element 87) is rarely found naturally as a metal. It is usually found combined with two or more other elements to form lead compounds. Lead is used in batteries, ammunition, metal products and many other types of consumer products. Owing to significant documented health concerns, use of lead in paints, ceramics, caulking, pipe solder and other products have all been dramatically reduced in recent years. The use of lead as an additive to gasoline in the U.S. (primarily as tetraethyl lead) was diminished in the 1980's and ultimately banned in 1996. Environmental lead poisoning from exogenous sources has been extensively studied at low level chronic doses in children as well as higher level acute occupational exposures. The main target for lead toxicity is the nervous system in both adults and children. Long-term exposure of adults can result in decreased performance of the nervous system. It may also cause weakness in fingers, wrists or ankles as well as increases in blood pressure and anemia. Exposure to high lead levels can severely damage the brain and kidneys in adults or children and can ultimately be fatal. High exposure levels may cause miscarriage in pregnant women and damage the organs responsible for sperm production in men. U.S. EPA has set its maximum contaminant level goal (MCLG) for lead to zero (0) to demonstrate the fact that there is no documented safe level or threshold at this time.17 It should also be noted that background lead levels in some regions of industrialized countries already approach generally-recognized toxic levels. 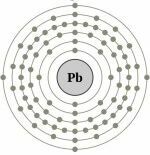 The U.S. Department of Health and Human Services has determined that lead and lead compounds are reasonably anticipated to be human carcinogens and U.S. EPA has determined that lead is a "probable human carcinogen." The International Agency for Research on Cancer (IARC) has determined that inorganic lead is probably carcinogenic to humans.18 TCAS has extensive experience in toxicologically assessing lead contamination and exposures in residential, environmental and industrial cases in both plaintiff and defendant causation claims and risk assessment scenarios. Please contact our office for additional information. Show all results for "Mercury"
Mercury (element 80) is a liquid metal found in natural ore deposits. Mercury is the only metallic element found as a liquid at normal temperatures and pressures. Batteries, fluorescent light bulbs, switches and other control equipment account for 50% of commercial mercury used.19 Mercury pollution was common in the mid-20th century from a wide range of sources. However, most mercury pollution is presently produced by coal-fired power plants and industrial processes. Mercury combines with other elements (such as chlorine, sulfur or oxygen) to form inorganic mercury compounds (or "salts"). Mercury also combines with carbon to make organic mercury compounds. The most common compound, methylmercury, is produced mainly by microscopic organisms in the water and soil. The most common exposure pathway for methylmercury is consumption of contaminated fish and shellfish.20 Consequently, state agencies and U.S. EPA regularly issue fish consumption advisories21 Methylmercury and metallic mercury vapors are more harmful than other forms because more mercury in these forms reaches the brain. Exposure to high levels of metallic, inorganic or organic mercury can permanently damage the brain, kidneys and developing fetus. Effects on brain functioning may result in irritability, shyness, tremors, changes in vision or hearing and memory problems. Short-term exposure to high levels of metallic mercury vapor may cause effects including lung damage, nausea, vomiting, diarrhea, increases in blood pressure or heart rate, skin rashes and eye irritation.22 TCAS has produced numerous risk assessments involving mercury contamination and provided expert testimony on behalf of both plaintiffs and defendants. TCAS has also conducted residential occupancy safety evaluations prior to re-occupancy by displaced families following mercury contamination remediation. Please contact our office for additional information. 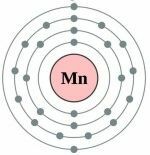 Show all results for "Manganese"
Toxic exposure to manganese occurs primarily through ingestion of foods containing manganese, but exposure can also occur through dust inhalation, soil intake or drinking manganese-contaminated water. At high doses by inhalation, manganese can be very toxic (as documented in studies of occupational exposures in miners). Manganese toxicity attacks the nervous system. Common symptoms of toxic exposure include ataxia, dementia, anxiety, a "mask-like" face and manganism, a syndrome similar to Parkinson's disease. Manganese generally has low toxicity by oral ingestion and reports of adverse toxicological effects by this route are rare.24 TCAS was involved in an investigative case in which a potential homicide attempt resulted in severe dementia and death. Additionally, TCAS was recently retained to forensically analyze MMT abundance in layers of LNAPL which were used to characterize gasoline contributions and thus identify (and disqualify) specific petroleum manufacturers in remediation litigation. Please contact our office for additional information. 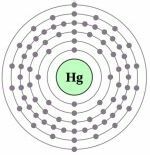 Show all results for "Thallium"
Thallium (element 81) can be found in pure form or mixed with other metals in the form of alloys. It can also be found combined with other substances such as bromine, chlorine, fluorine and iodine to form salts. Although thallium is highly toxic, thallium poisoning is uncommon. Studies of thallium toxicity in humans consist mainly of clinical reports, case studies and medical surveys (thallium poisoning case reports typically involve accidental ingestion, intentional poisoning attempts or suicide attempts). TCAS was involved in a nationally-publicized case in which Dr. Sawyer determined through forensic investigation that a hospitalized patient had been re-poisoned with thallium at the hospital only 12-24 hours before he died (based on his urine/blood ratio which had been overlooked by both the clinical investigators and the prosecutor). Dr. Sawyer's toxicological findings, written report and expert testimony ultimately resulted in the arrest, conviction and double life sentencing of the perpetrator. Please contact our office for additional information. 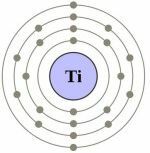 Show all results for "Titanium"
Although titanium (element 22) in pure form has relatively low toxicity, some titanium compounds (such as titanium dioxide and titanium tetrachloride) have higher toxicity. Titanium dioxide forms in the human body on the surface of arthroplasty devices (artificial hips, etc.) and in dental implants. Titanium tetrachloride (used to make titanium metal and other titanium compounds) is highly irritating to the skin, eyes and mucous membranes in humans as it reacts with air and rapidly forms hydrochloric acid if it comes in contact with water. 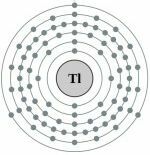 Environmental exposure to titanium tetrachloride is comparatively rare as it tends to break down rapidly in water. Neither the IARC nor U.S. EPA have classified titanium tetrachloride with respect to carcinogenicity.26 IARC classifies titanium dioxide as a "Class 2B" carcinogen (possibly carcinogenic to humans).3 The primary toxicological exposure pathways are by inhalation and by dermal contact. Acute (short-term) exposure may result in surface skin burns and marked congestion and constriction of the upper respiratory tract in humans. Acute exposure may also damage the eyes. Chronic inhalation exposure may result in upper respiratory tract irritation, bronchitis, cough, bronchoconstriction, wheezing, chemical pneumonitis or pulmonary edema. Diseases of the lung (pleural diseases) have also been associated with long-term occupational exposure of titanium tetrachloride in titanium metal production workers.27 Please contact our office for additional information. Show all results for "Uranium"
Uranium (element 92) is a radioactive element occuring in nearly all rocks and soils. 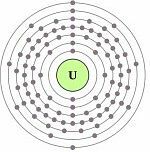 Although the three uranium isotopes (U-234, U-235 and U-238) behave much the same chemically, each has different radioactive properties. The primary route of exposure for the general population is ingestion of food and drinking water. Only about 1% of ingested uranium will typically enter a person's blood following ingestion. Most of this is removed by the kidneys and excreted within a few days; however, a small amount of uranium will be retained and ultimately deposited in the bones. Thus, bioaccumulation is a significant consideration in any uranium exposure scenario in which ingestion is a factor, particularly with respect to consumption of contaminated fish, plants, animals and/or water. Intakes of uranium exceeding U.S. EPA standards can lead to increased cancer risk, liver/kidney damage or both. Other potential targets of toxicity include the reproductive system and the developing fetus. Long-term chronic intakes of uranium isotopes in food, water or air can lead to internal irradiation and/or chemical toxicity. The toxicity of uranium is mainly due to chemical damage to the kidneys or respiratory tract. Adverse health effect levels vary depending on the particular uranium compound and its solubility.28 Absorption of uranium is low by all exposure routes (inhalation, oral and dermal) but even small quantities of a radioactive substance can produce adverse health effects. The deposition of inhalable uranium dust particles in the lungs depends on the particle size and absorption depends on its solubility in biological fluids (ICRP 1994a, 1996). A final toxicological profile for uranium was produced by ATSDR in April, 2013, in which minimum risk levels (MRLs) were established for uranium exposure by both oral and respiratory routes.29 Please contact our office for additional information. U.S. Geological Survey, "Circular 1133", Reston, Virginia, 1995. U.S. Environmental Protection Agency, "Basic Information about Antimony in Drinking Water," September, 2013. U.S. Environmental Protection Agency, "Toxicological Review of Antimony and Compounds," September, 1992. 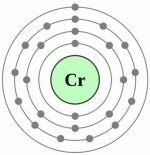 ATSDR, ToxFaqs, "CAS#: 7440-43-9, Cadmium," October, 2012. ATSDR, Division of Toxicology and Environmental Medicine, "Toxicological Profile for Cadmium," September, 2012. ATSDR, Division of Toxicology and Environmental Medicine, "Toxicological Profile for Chromium," September, 2012. ATSDR, Division of Toxicology and Environmental Medicine, "Toxicological Profile for Cobalt," April, 2004. U.S. Environmental Protection Agency, "Cobalt Compounds," October, 2012. National Toxicology Program, "Toxicology Studies of Cobalt Metal," CAS No. 7440-48-4, October, 2013. U.S. Environmental Protection Agency, "Basic Information about Copper in Drinking Water," December, 2013. ATSDR, Division of Toxicology and Environmental Medicine, "Toxicological Profile for Copper," September, 2004. U.S. Environmental Protection Agency, "Basic Information about Lead in Drinking Water," February, 2014. ATSDR, Division of Toxicology and Environmental Medicine, "Toxicological Profile for Lead," August, 2007. U.S. Environmental Protection Agency, "Basic Information about Mercury (inorganic) in Drinking Water," February, 2014. U.S. Environmental Protection Agency, "Human Health Criteria - Methylmercury Fish Tissue Criterion," October, 2012. U.S. Environmental Protection Agency, "Fish Consumption Advisories," March, 2014. ATSDR, Division of Toxicology and Environmental Medicine, "Toxicological Profile for Mercury," March, 1999. ATSDR, Division of Toxicology and Environmental Medicine, "Toxicological Profile for Manganese," September, 2012. U.S. Environmental Protection Agency, "Health Effects Support Document for Manganese," February, 2003. U.S. Environmental Protection Agency, "Toxicological Review of Thallium and Compounds," September, 2009. U.S. Environmental Protection Agency, "Titanium Tetrachloride Hazard Summary," January, 2000. ATSDR, Division of Toxicology and Environmental Medicine, "Toxicological Profile for Titanium Tetrachloride," September, 1997. Image adapted from U.S. Geological Survey Circular 1133, "Sources and Sinks of Heavy Metals," Reston, Virginia, 1995. Multiple atomic structure images adapted from public domain Creative Commons. "To assess the health effects of heavy metals, the expert toxicologist must conduct investigative research, evaluate the exposure pathways and valence states, calculate dosage and apply weight-of-evidence factors to demonstrate or refute causation."